If you’re dying of suspense waiting for the final episodes of Game of Thrones to air, the following information might only make matters worse. 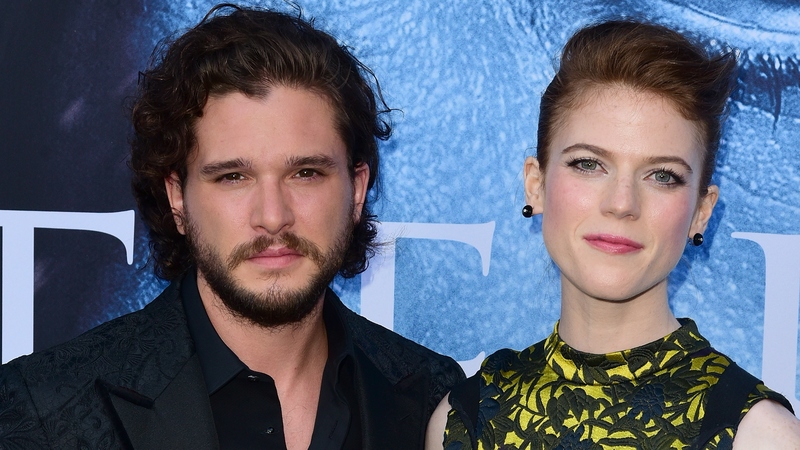 Still, you’re going to want to hear how Rose Leslie reacted when husband Kit Harington (who plays Jon Snow) revealed the series’ ending to her. Suffice it to say, April can’t get here fast enough. Harington piqued major interest on Friday when he chatted with KISS Breakfast’s Tom Green and Daisy Maskell about the HBO series. “I told my wife last year how it ended, and she wouldn’t talk to me for about three days. And she’d asked!” confessed Harington. There are two main ways one could interpret this revelation. The first: that there is something so shocking embedded in the final episodes that the arc of events alone enraged Leslie enough to distance herself from her husband. The second, and perhaps the more likely one, is that Leslie could simply have been upset that Harington ruined the final season for her. During an appearance on Late Night With Seth Meyers back in March 2018, Leslie described herself as an avid fan, explaining she actively avoids learning anything about GoT episodes in advance. She explained that she does this so she can’t gauge anything from Harington’s physical reaction that would send her imagination about the episodes into overdrive. At some point after her interview with Meyers, Leslie apparently caved and pleaded for Harington to give her the details — a decision she clearly regretted right away. In December 2018, the official teaser trailer for the final season dropped and was just as cryptic as Harington’s comments. There’s fire, there’s ice, there’s a map of Westeros. It’s not much to go on, but it’s something, at least. Plus, coupled with Harington’s new comments, it definitely creates a fever pitch of intrigue. Game of Thrones‘ eighth (and final!) season comes to HBO on April 14.